Recent years have witnessed a resurgence in touring holidays as traditional operators understood that travellers were after much more than ticking off sights and countries. For many it was adapt or disappear. To be fair many people thoroughly enjoy the idea of fitting as many sights and countries in as their holiday time allows. However, more and more people are focussing on the experience, especially if they have travelled to areas previously and identified areas they would like to spend more time in. As such tour operators have adapted, offering more country or area specific itineraries, along with experiential journeys often spending several nights in a single location. New tour operators like Backroads have arrived on the scene overturning traditional touring models travelling in much smaller groups with made to measure transport. Some tours utilise local transport to enhance the experience. However, as a very wise person once said, no one is going to be eternally grateful to a travel consultant for booking a bus! Focus on the experience, it really is everything! So why select a touring holiday? 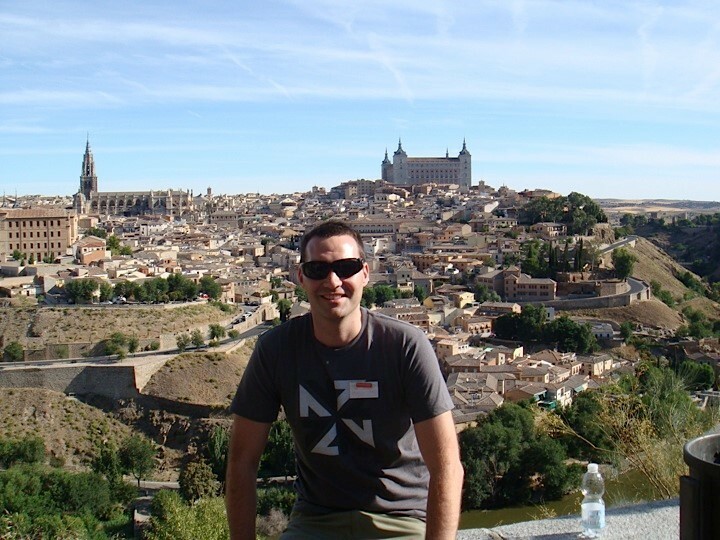 Alexandra House of Travel’s Aaron Dyson on tour in Toledo, Spain. While there are many practical reasons why you should join a touring or guided holiday, it is much more exciting to talk about the emotional reasons to join. Consider for a moment the people you will meet, the friendships formed, the secrets shared and a new and deeper understanding of customs and cultures from around the world. On most tours friendships are made that will literally last a lifetime. Dunedin House of Travel’s Stephanie McAuliffe (bottom left) on tour with Top Deck in Prague. Tours will generally include accommodation, breakfast and many meals, the must see and dos, transport, an experienced driver, a tour director and local guides. So, what does this mean for you? Simply the chance to sit back and enjoy your experience, instead of trying to navigate the Arc de Triomphe roundabout, standing in endless queues and any number of relationship threatening situations. To be fair there are also lots of good reasons to travel independently but if you want everything taken care of to solely enjoy the area you have chosen to visit and the people you have chosen to travel with a touring holiday should be considered. Value is also a significant reason to consider a touring holiday. There is no doubt you could not do all you will do on a touring holiday than you would do by yourself, for the same money … there’s a lot included, your travel consultant can provide you with a complete list. House of Travel Dunedin’s, Melissa Itadani (second from right), enjoying great company and experiencing wine tasting in an Italian patisserie on a Backroads tour. Tours have really changed over the last few years. Certainly, you can still cover a lot of countries in a short amount of time. These itineraries provide a fantastic introduction to the best parts of Europe. After these holidays, you will soon know what countries and cities you want to visit again. However, these days there are also tours that focus just on regions. Others offer one or two countries that will leave you with a deep understanding of life in these countries. There are numerous touring styles. Some tours are very leisurely and some follow special interests and events. A touring holiday might be a 9 night Trafalgar journey from Venice to Rome via Florence with 3 nights in each using Italy’s high-speed train service. It could be a one-way Globus journey from London to Rome. Strong interest in touring holidays at a recent House of Travel event in Dunedin. The pace of tours has changed, 2 or 3 nights stops are becoming more common place. A relaxed pace is a guiding principle of Albatross tours. Some tours may only include one or two places and may not even be with a group. Monograms for example offer a virtually bespoke experience with many of their holidays. Culinary tours are becoming increasingly popular. You can even take the kids or grandkids and share photos with a gladiator in the morning and make pizza in the afternoon. Add cycling or hiking tours and there really is something for everyone. Tony Boomer from House of Travel Dunedin on tour in Florence, Italy. Touring holidays aren’t limited to geographic locations or age groups. For the young, or young at heart and mind, Contiki and Top Deck are still going strong with G-Adventures, Geckos and Intrepid adding diversity to youth travel. Contiki have just released touring holidays in Africa, who knew! Established European and North America tour operators like Insight, Trafalgar, APT, Globus and Cosmos literally operate all over the world including Africa, Asia and South America. For the truly intrepid an overland tour with Dragoman may finally realise lifelong aspirations. Rachel Carr from House of Travel Dunedin realises a lifelong dream of visiting Iguassu Falls. Tour companies have also focussed on creating unique experiences that simply can’t be replicated by individual travellers. Gone are the days where tours relied on signature sights to delight their customers. Now you can literally dine in the Vatican, have the Sistine Chapel to yourself, dine with royalty, enjoy private concerts in outstanding venues, engage with people with unique stories to tell, even simply dine with local families in their own homes. Tour companies are going out of their way to ensure that your experience will yield memories literally of a lifetime. 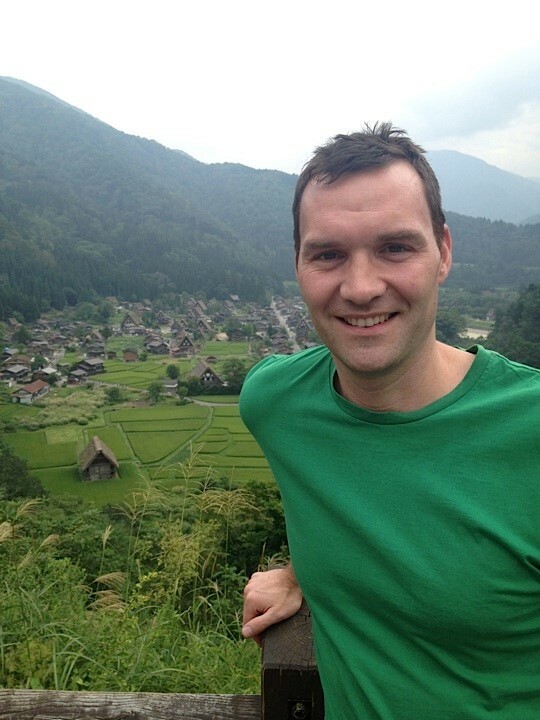 Aaron again on tour with Globus in Shirokawa, Japan. Your House of Travel specialists in Otago are ideally placed to assist you with making the right decision. Regional managers Tony Boomer (Dunedin) and Aaron Dyson (Alexandra) have experienced all manner of touring holidays from Top Deck, overland outfit Dragoman, and Intrepid to Trafalgar and Globus. Across the Dunedin team similar experiences abound with Melissa recently returning from a Backroads small group tour of Italy or you could chat to Paul fully conversant in luxuriating with Insight. Kristin (Oamaru) is about to experience her inaugural Contiki journey, those were the days! Janette’s Wanaka team have experienced Trek America to Trafalgar while Maxine and her team in Balclutha have experienced the range from Contiki to Trafalgar. Everywhere you look in the region there is a House of Travel consultant able to help you create the best touring holiday together.